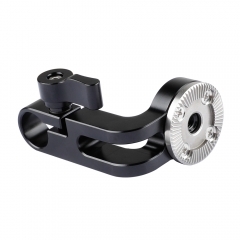 • Material: High quality aluminum alloy. 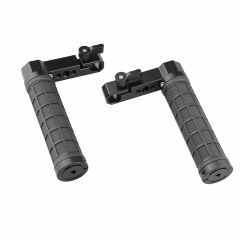 • 58mm NATO rail side plate with thread-off proof safety tabs at both ends to avoid any accidental slips or falls of the monitor. 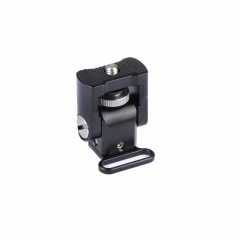 • The back plate comes with plenty of thread holes, enabling an access to mount battery or other devices. 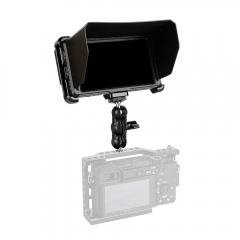 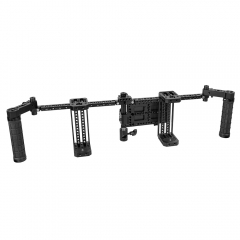 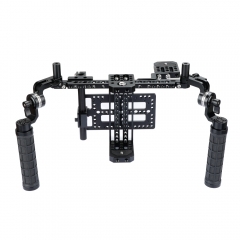 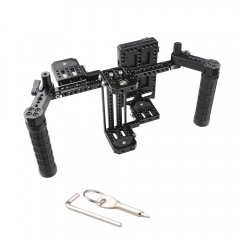 It is a detachable and protective monitor bracket with multiple functions, enabling an access to mount battery and handle grip. 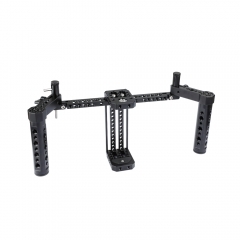 It’s is applied for SmallHD 700 series monitors, such as 701 LITE, 702 LITE and 702 BRIGHT.